I stayed at home all day. It was somewhat productive. I got a chance to carve a chicken for the first time (picked up a whole chicken at the supermarket yesterday. All the precut chicken looked dry). Did a load of laundry. Cleaned my room and the kitchen. Took a nap (I kept dreaming that I got into a car accident1). Read a few chapters from my Handbook of Employee Benefits while lounging on the couch and taking breaks doing arm curls with 25 pound dumbbells (you know kids that do push-ups and afterwards flex their biceps in the mirror … that was me today). I didn’t think I’d do well studying at home since there are so many distractions (like cooking lentils to go with my chicken, farming for gold in Clash of Clans, etc.) but it was nice being able to have a quiet day by myself and studying on the couch. Maybe I don’t have to pack my books and trek to the coffee shop all the time. 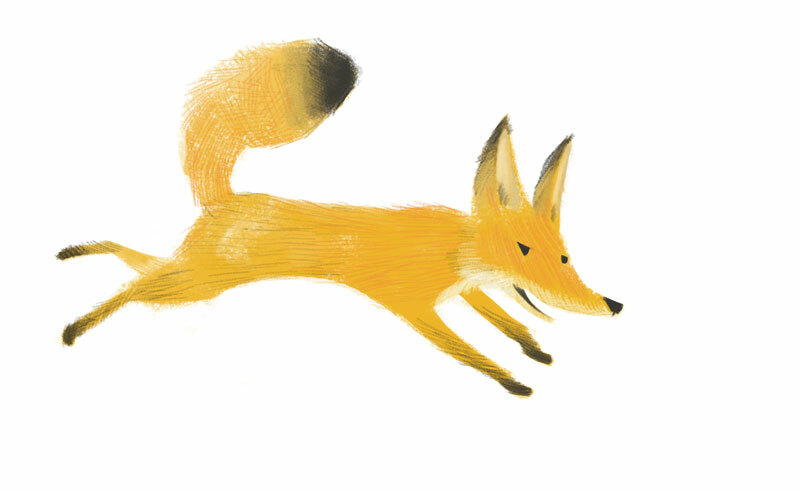 At the end of the day I thought I’d try to draw a fox. &nbsp; 1 I actually did get into a car accident last Sunday. A car backed into me in the parking lot at Sawtelle. No dents, just paint scratches and their insurance will cover it. Looks like I’ll be driving a rental for the next few days though.